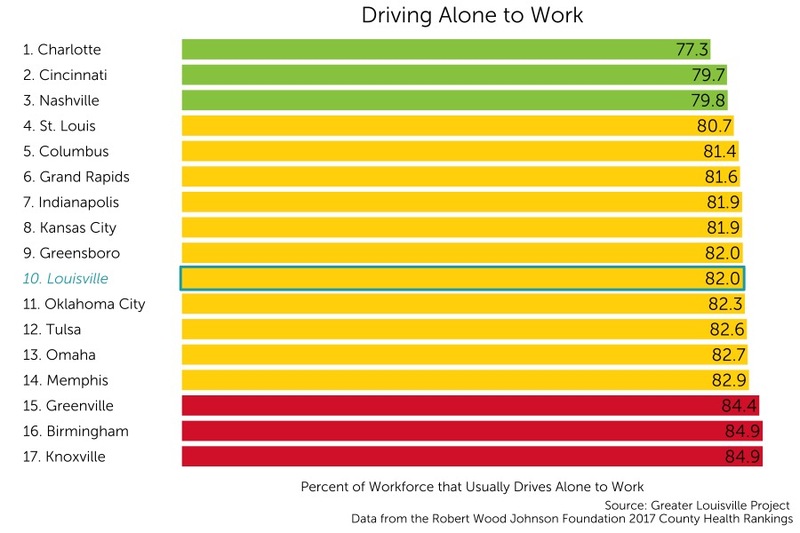 Driving alone to work can increase traffic and serves as an indicator of the amount of resources that a given community has access to, which can be a significant barrier to economic agility. Driving alone to work is also a significant driver of negative environmental impacts. Louisville currently ranks 10th among its peer cities in percentage of people driving alone to work with approximately 82% of people driving alone to work.